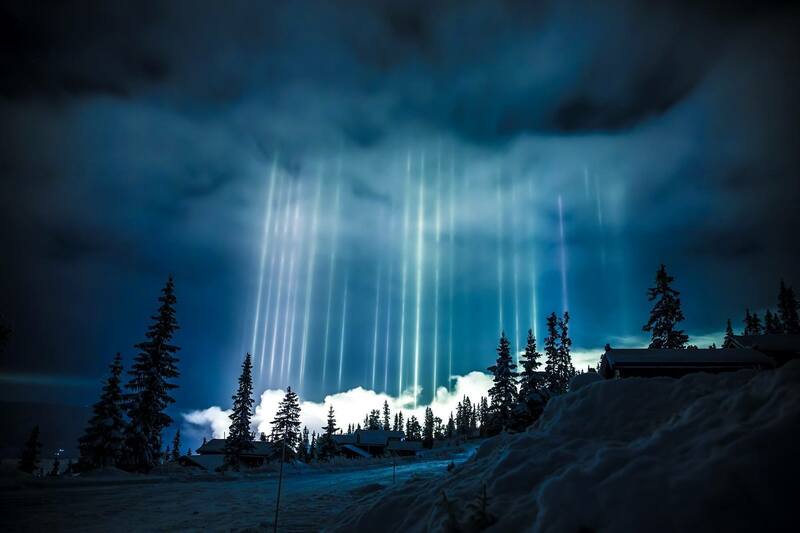 A light pillar is an atmospheric optical phenomenon, which is an interaction of light with ice crystals. When the temperature drops and these crystals position themselves horizontally as they fall through the air, they act as “vessels” for light, shooting it upwards. Bored Panda has collected more images of these gorgeous light pillars, so scroll down to enjoy Elzinga’s shots, plus other pictures!